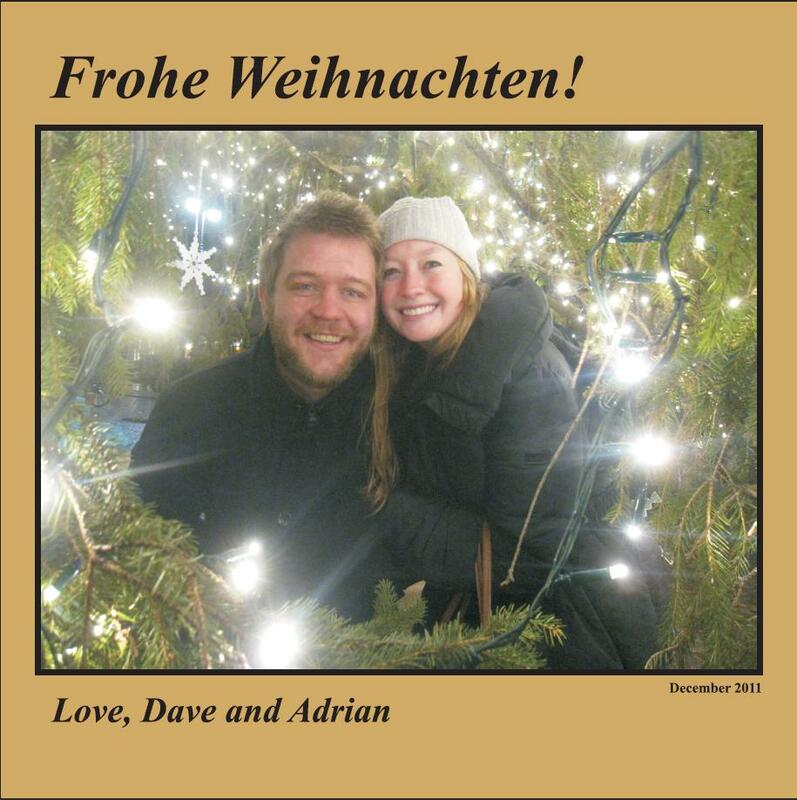 We just returned from a wonderful week long Christmas vacation in south-west Germany. We left Berlin early on the 23rd and returned late on the 29th- just in time to pack up our apartment for a New Years Day move! If you can’t tell- we’re really excited to be moving on the first day of 2012…luckily we had an amazing vacation to lift our spirits before undertaking the always fun task of moving. Our primary destination was Todtmoos, DE. It’s a beautiful little village nestled in the Black Forest and was the absolute perfect destination for a relaxing and romantic Christmas. We first took a train from Berlin to Freiburg (first class!) then transferred to a bus that drove us a few hours into the Black Forest and to our final destination. The bus ride through the Black Forest was amazingly beautiful and as we neared Todtmoos more and more snow covered the ground. We passed through a number of other cute towns during the drive and actually ended up being the very last people on the once full bus as we pulled into the bahnhof in Todtmoos! Herr Coman (the owner of the hotel we were staying at) was waiting for our bus and he drove us up to the hotel. Upon our arrival there was a big box from the Chebuskes containing some wonderful presents and a super special Christmas tree! 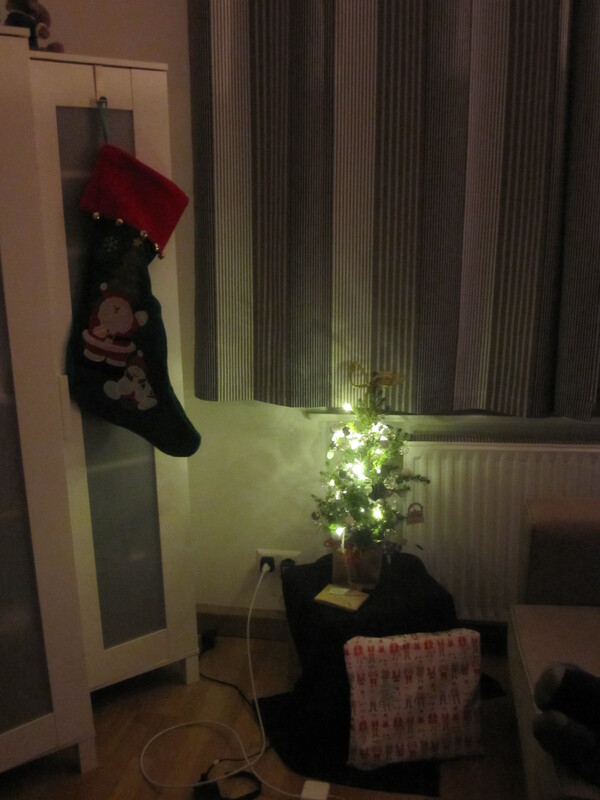 We set it up straight away and it added a great festive feel to the apartment. The night of our arrival we enjoyed walking through the village and checking out the different restaurants- finally deciding on Sapa (a Chinese-Vietnamese-Thai restaurant). We figured that we’d be eating plenty of German food over the course of the week and it couldn’t hurt have a little variety. And thank God we did- the food was delicious and oh so spicy! I liked it so much I made us go back a few nights later:) The German food we had all week was delicious too, but my red curry w/ tofu was so reminiscent of my my favorite place back in Boston it made me very happy. We woke up on Christmas Eve to a beautiful site- big, fat, white snowflakes! The already beautiful village was made even more beautiful as the flakes came down. We did some more daylight exploring and some shopping for Christmas Eve and Christmas dinners (our hotel was more like an apartment- with a working kitchen). After a relaxing afternoon of games, reading and lounging- we got everything ready for our Christmas Eve feast. Dave’s family does a big fondue meal every year and we decided to keep with tradition. Our fondue came in congealed form, out of a bag, but it was from Switzerland- and delicious!!! The good, brown German bread was a perfect compliment as were our beers and bubbly. After dinner we headed up to the church in town for the Christmas Eve service. Though we couldn’t understand a word of the service the church was beautiful and the people friendly. The snow continued to fall as we headed home to watch It’s a Wonderful Life. On Christmas morning we woke up to another beautiful site. The snow had stopped falling and the sky was bright blue! We made breakfast, opened gifts and enjoyed a relaxing Christmas morning. The Chebuskes sent us two great new games to play (I crushed Dave at 7 Wonders!) and then in the afternoon we took a walk to a nearby waterfall. Though it was cold, the scenery was beautiful and the walk enjoyable. Christmas ended with a few good games of ping-pong, swimming and skyping with both our families. Though it was a little sad to be away from our homes, we had a great first Christmas together and it couldn’t have been in a better spot. Thank you so much Melissa and Al for the amazing vacation!! The day after Christmas we took the bus (free for all visitors to the Black Forest) to the neighboring town of Todtnau. It was a bit bigger than Todtmoos, but still very quaint. The town is located at the base of a number of mountains and one had an operating ski lift and strange looking contraption running down the mountain. We walked over to get a better look and found out that it was a huge alpine slide. The ski lift was used to bring visitors up to the top of the mountain to either use the slide or to enjoy the views and beers at the mountaintop “lodge”. We opted to buy the tickets and enjoyed a beautiful ride up the mountain. We weren’t really dressed to slide down a mountain, but we did partake in beers and wurst at the lodge. The ride back down was just as pretty! That night we dined at one of the most popular spots in Todtmoos, Maien. I got their daily special- which included a creamy potato soup to start and then a huge plate of hirschsteak (venison), chestnuts, spaetzle and brussel sprouts. Dave picked out a Jagersteak with mushrooms- both absolutely delicious. There was also live music- so all in all a very “German” feel to the whole meal. The only downside was that since we hadn’t made a reservation we were seated a shared table. The first couple we sat next to was great, but when they left an older Swiss couple sat down. Rather than keeping to their side they sidled right over and started engaging us in conversation. I usually don’t mind making small talk/socializing, but these were some strange people. Their English was not good, but that didn’t stop them. They told us that their former spouses had died and they were now partners. Then the gentleman told us about his prior health issues and his new electronic shock pace maker. The woman started making jokes about how he wasn’t suppose to get too excited during the “love making” or they’d shock him. They then had us guess their ages (really?!) and we found out they were in late 70s. I literally felt like we were in a Saturday Night Live sketch. We were both pretty thankful when the check came and we were able to escape our over-sharing Swiss dinner dates! The final day in Todtmoos we decided it would be only fitting to try and find a place to ski. Because of our differences in skiing ability (Dave’s a pro, I have none) we opted for going cross country. We found a place where we could rent poles, skis and boots for only 15€/day. Even though it was Dave’s first time, he was much better than me (though I take pride in the fact that he fell first!). We had a lot of fun skiing around though- and the weather was perfect! That night we enjoyed the last of our favorite regional beers and made our way back to Sapa- where we were greeted enthusiastically by the host and even given special shots. Who knew there was such delicious Asian food in tiny village in the Black Forest?! We were sad to bid farewell to Todtmoos the next day, but excited because we had one more stop on our trip- Freiburg! Dave spent the first semester of his junior year studying abroad in Freiburg and was excited about revisiting some his favorite spots and showing me the city. We dropped our bags off at the hotel and headed out for lunch. Dave was determined to find his favorite lunch spot- Tacheles. They have more than 30 varieties of schnitzel and spaetzle…and the one’s we had were as good as Dave claimed. To work off lunch we headed to the Münsterplatz and ventured the 209 stairs of the cathedral to the bell tower. From there there were about 100 more stairs to the highest point. The view of the city was awesome and the bell tower beautiful. I got some great pics! After our visit to the cathedral we continued our walk around Freiburg before headed back to the hotel for a quick nap. For dinner we headed to Dave’s favorite Freiburg beer hall (in the summer they have a huge outdoor patio) called Feierling Braueri. We enjoyed some great German beer and food. The last morning of our trip was spent trying to see as much of Freiburg as possible before our 3:00pm train back to Berlin. We wandered over to Dave’s old dorm in the morning and checked out some of his former school buildings. From there we hiked a bit up a hill overlooking the city, checking out another beer garden. As we slowly made our way back to the hotel and our luggage, we ended up at one last beer hall- God love the Germans and their beer! Though we are bummed about vacation coming to a close, we’re looking forward to 2012. I will be starting German classes the second week in January and Dave is only a month away from finishing up his first semester! After which he has 5 week off- lucky guy! We’re hoping to get a lot more travelling in this next year (including trips home next summer for some very important weddings!). We also plan on continuing to enjoy all Berlin has to offer and really take advantage of this opportunity to be in Europe. Wishing you all a happy New Years Eve and an amazing 2012!!!! One of my favorite things about my classes here in Berlin is the international make-up of the students. We have 32 students in our class from 20 different countries. I love talking about different cultures and politics of various countries so it’s been a great opportunity for me to learn more about places like Russia, Romania, Turkey, China and everywhere in between. But the program is in Berlin, so naturally we have the most Germans. Of our 32 people, I think 8 are German… so a quarter of the class. Naturally living here has given Adrian and I a lot of opportunities to meet and talk to many other Berliners as well and to learn about the city and its dramatic history. It’s impossible to walk around the downtown are and not see at least a remnant of the Berlin Wall, if not a monument to the Holocaust or some other horrific part of German history. 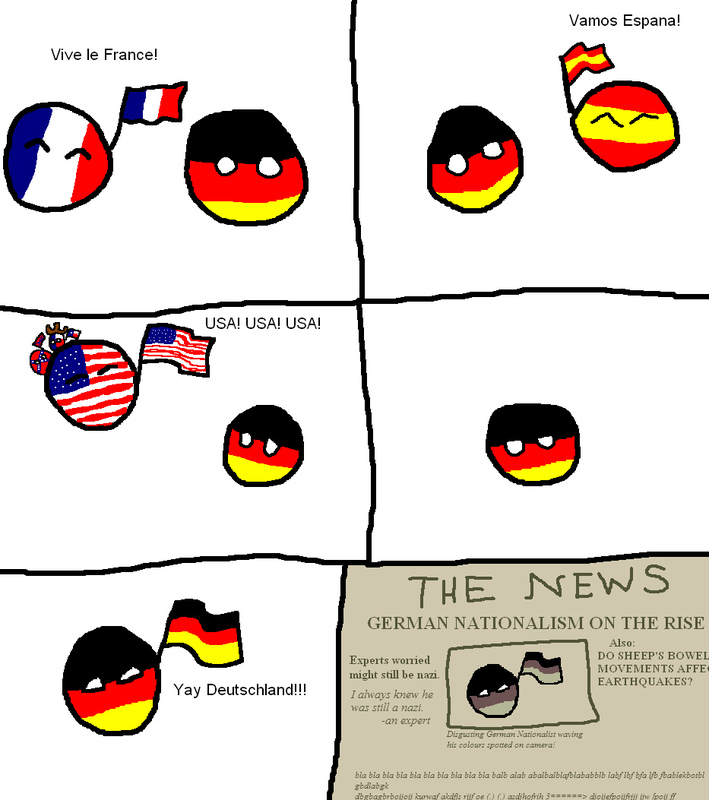 The truth is, the wars between the US and Germany happened not that long ago, so they do come up fairly often in conversation. Many Americans even to this day when asked about Germany, first think about Nazis. It’s a sad fact that Germans wish wasn’t the case, but in Germany, you soon learn that it is impossible to run from the uncomfortable truths of your nation’s past. What many Americans do not realize about Germany, is in addition to the time of the National Socialist regime of the 30s and the war, the dividing of Germany into east and west was also an extremely difficult period for Germans… and especially Berliners. When the city was divided, the wall was put up in secret over night. This surprise split up friendships, ended jobs and ruined lives forever. Though we just celebrated our 5 year anniversary last month, this will be the first Christmas Dave and I spend together. We’re both sad that we won’t be with our families for the holiday, but are looking forward to creating new traditions together. We got our tree (more like a mini-shrub) this past week and decorated it with some of the ornaments we’ve picked up on our European travels. In thinking about new traditions we’d like to start this year we got talking about our favorite traditions from Christmases Past. We thought it would be fun to do a joint post and share some of our individual favorites! The best Christams tradition is spending time with family… my family also happens to be obsessed with doing things exactly the same every Decemeber. We have a set schedule that we rarely ever waver from, we eat the same exact foods every year, we have the same people with us in the same place, and of course, we always tell the same jokes. One Christmas tradition I love is on Christmas eve, we always go to my Aunt and Uncle’s house to eat cheese fondue. Bo and Kristie always make three different kinds of fondue: Parmasen, Swiss and Cheddar. Every year, each member of the family ranks the cheese sauce in order of which they liked, from best to worst. You would think that since we have the same cheese every year, people would always have the same order, but it usually changes for some reason (yes we actually record what people say, we’re very interested in rating and debating in my family). When we were younger, the kids used to perform a Christmas pageant, where we would act out scenes from the story of Christmas. We have grown a little too old for that tradition though, so now we just sing Christmas carols. My cousin Anina posted a youtube video of our singing one year, but to avoid embarrassment I won’t link to it here (we are somewhat tonally challenged). Another one of my favorite traditions is the way my family gives gifts. Instead of putting “Love: Dave” on the tag, we include a hint to what might be in the gift. For instance, if I bought someone a new kitchen knife, I might put “From: Martha Stewart”. I usually get a gift from Dan and Paul Hackett or from Terry Francona. It’s a good way to add some creativity into gift giving… everyone always gets very excited to try and guess what is in the gift based on who it’s from. Another of my favorite traditions is eating Lobster Bisque on Christmas day. We always buy the lobster fresh on Christmas eve and my Mom makes the bisque before hand. We have a lot of people over to our house for Christmas: Me, Cara, Jack, my mom, my dad, my uncle Bo, aunt Kristie, Anina, Mary, my grandfather and of course the dogs. Everyone gets everyone else at least one present so opening gifts takes a long time. By the time we finish, everyone is starving and that huger makes the bisque even more amazing every year. Delicious! There are a number of things I love about Christmas, but what I love most is the anticipation leading up to the big day- maybe that’s why Thanksgiving is my favorite holiday… You get to enjoy an amazing Thursday chock full of food, family and football. When you wake up the next morning, you still have three days off of work/school and it’s universally acceptable to start listening to Christmas music and begin holiday preparations. 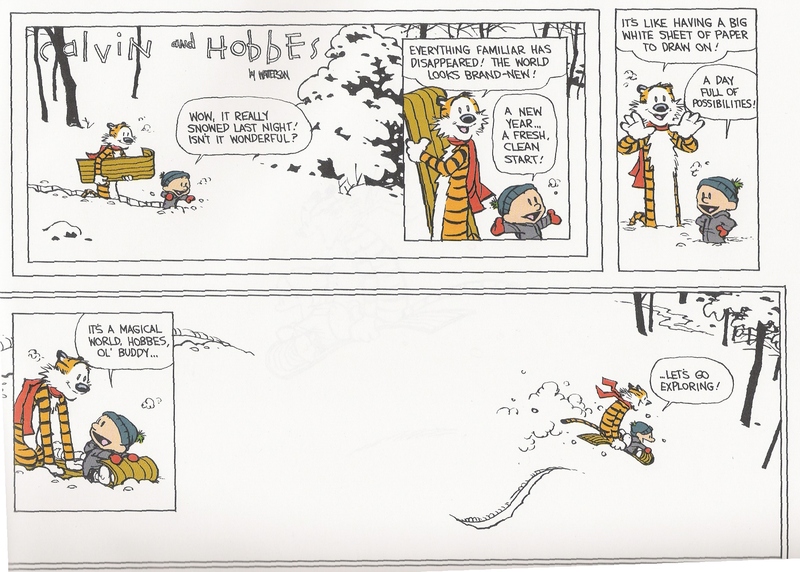 One of my favorite Christmas traditions growing up always begins on the 1st of December. It’s the day the Christmas books come out! My mom has been collecting Christmas books since I was a baby. I think she began with the intention of getting one new one each year, but we were never that consistent. Overall we probably have more than 30 books though- many inscribed with the year and circumstance in which they were given. While the scratch-and-sniff candy canes and trees in Barnaby’s First Christmas only contain hints of their former glory and I cringe every year when Jim tells Della that he sold his watch in The Tale of Magi there’s nothing quite like looking back at some of your favorite stories each year to bring about that holiday feeling. My two absolute favorites are The Littlest Angel and The Year of Perfect Christmas Tree. Since graduating from college I’ve enjoyed shorter Christmas vacations at home, but even when I’ve only made it home a few days before the 25th my parents have always saved the decorating of the tree until I arrive. I’m usually the “light lady” (we’re a fan of white lights…something Dave and I agree to disagree on) and it always takes a good number of hours to sort all the decorations and figure out where everything is going to go. Maddie and I each have ornaments that we and we alone are able to place on the tree. We always try and get the favorites up front and put the “less desirables” near the back. I’m a fan of a fully decorated tree- just because no one sees the back doesn’t mean it doesn’t deserve to be decorated…even if it’s with the more generic ornaments. The Amy Grant Christmas C.D.is usually playing throughout the decorating and after Amy finishes up we move to Gloria Estefan and other Christmas mixes. After the tree is complete we then get to set up the manger. It’s always fun to unwrap the manger my Uncle John crafted years ago and set up the main players in their spots. The little black sheep is my favorite. It always feels so comfy and cozy when the decorating is complete and I can read my Christmas books in front of the Christmas tree! The final tradition I’ll go into a little depth about is our Christmas Eve routine. Every year we get gussied up and head to church for Christmas Eve service. The service is my absolute favorite of the year. The service is primarily a song-fest. In between songs pastor shares the Christmas story with the congregation and usually a special musical piece is done by the choir or a musical ensemble. The final part of the service is the best- all the lights are turned off and candles are passed to everyone in the congregation. As the pews are dismissed one by one everyone sings Silent Night on repeat. It usually takes 5+ times through all three verses to get everyone out, but as it’s my favorite Christmas song I always enjoy the tradition. After the service we head up to Kersting Court to visit the snowman. Every year someone drives down from the mountains with a truck-bed full of snow and crafts a snowman in the square. As Southern Californians it’s always a novelty and a treat to pose with the snowman on Christmas Eve. The night ends with hot cocoa and peppermint schnapps at home and the opening of the first gift. Usually we watch a Christmas film or play a game and then go to bed dreaming of sugar plum fairies and nutcrackers. Christmas itself brings a big hearty breakfast, the opening of stockings and then presents-we open one at a time, youngest to oldest. After presents there isn’t much in the way of a scheduled out day. Usually an afternoon nap is had at some point. We always receive new games and movies from “Santa” that we enjoy in the afternoon and the many, many tins of cookies are eaten all day long. My Grandma always sends us loads of her specialties and I particularly enjoy the wreaths and white chocolate dipped pretzels. The nice things about California is that you can spend part of almost any day of the year outside. Last year I sent Dave pictures of me doing a crossword puzzle in the backyard in a t-shirt…ah the good old sunny California. Dinner is typically something done up on the BBQ and then we spend the rest of the evening relaxing, game playing and enjoying each other’s company. No huge traditions for the actual day other than lots of togetherness, but it’s still always one of my favorite days of the year! Obviously we are a bit sad not to be back home for Christmas spending time with family, but are looking forward to starting some new traditions! We miss everyone back home… maybe you guys could tell us about your favorite traditions in the comments? Maddie came to visit this past weekend and we had a ton of fun exploring Berlin and being Christmas-y! Since she’s in the last weeks of her program she has a pretty hefty load of papers and exams looming and was also feeling a bit tired to maxed out tourist days. We did something touristy everyday, but also spent lots of time relaxing eating and playing Bananagrams! She arrived on Friday morning and I met her at the airport. We headed back to the apartment (about an hour ride) to drop all of her stuff off before heading out for lunch. We dropped the stuff, picked up Dave and made our way to Santa Maria’s. Maddie can attest- I have been talking to her about this Mexican place in Kreuzberg called Santa Maria forever! It’s the best Mexican food I’ve found in Europe. Their guacamole is delicious and their carnitas are as authentic as you’ll find in Germany! They also have a pretty sweet lunch deal that includes a cup of yummy corn chowder, three tacos and a beer- all for 8€! After stuffing our faces we then made our way out to the East Side Gallery. The East Side Gallery is not a traditional gallery. It’s a grouping of murals that were painted by artists in around the world in 1990. What’s interesting about it’s location is that the murals are all painted on the largest remaining section of the Berlin Wall. Thematically most are about peace and community, but there are also some abstract pieces. Though it was freezing and rainy out we braved the weather to take in the entire gallery and got some great pictures of our favorite pieces! The next morning we scheduled a free walking tour of Berlin. We met up with our guide, an Australian gal named Kim, at 11:00 in front the Brandenburg Gate. There were about 35 people on our tour from all over the world. Only one other small group was from the U.S. Over the course of the next 3.5 hours Kim took us all over the city, giving us lot of interesting information about Berlin and it’s history. I knew a lot of facts, but was interested in hearing a little more background on some of my favorite spots. Additionally, she provided us with an interesting perspective regarding the building of the Berlin Wall. I didn’t know, but apparently the Berlin Wall went up overnight. Literally one night thousands of guards from the Soviet Sector lined up with a basic fence and barbed wire and then over time proceeded to build their inner wall, outer wall and line their “death strip” with guards, landmines, automatic shooters, dogs etc… She had us imagine our own homes and think about the suburbs surrounding us. What your family lived in a different part of the city or your friends or what if your job was in a different area? All the sudden millions of peoples lives were changes. Over 60,000 people lost their jobs. Obviously the Berlin Wall made a huge impact on the city and it’s inhabitants, but I hadn’t quite thought about on such a personal level. After the tour we warmed up with hot glasses of Glühwein at a local Christmas Market before heading to our appointment at the Reichstag. The Reichstag is the meeting place of Germany’s Bundestag (government). Touring the dome atop the building is free to the public, but you do have to reserve your spot a few days ahead of time online. We made it right on time and got ushered up to the Dome for some great views (even in spite of the rain) and an interesting audio tour. After the visit the Reichstag we were a bit hungry and decided we needed a good German meal to end our very German day. We made our way up to the huge Bier Hall beside Alexanderplatz. We partook in “mas biers” and introduced Maddie to Schnitzel and Spätzle. Needless to say, she was a fan! After dinner we went home for a miniature Christmas celebration. Unfortunately this year Dave and I aren’t going to be able to make it home for Christmas- which we’re both pretty bummed about. Rather than feeling glum though we opted to have a mini-celebration ourselves. Maddie and I made Chocolate Chip Peppermint cookies, Oreo Truffles and Chocolate Dipped- Peppermint dusted oreos. While we were baking Dave was able the Skype with the Chebuske clan as they set up their tree and decorations. They picked a beautiful tree! Maddie and I couldn’t Skype with our parents because to the power outages in Sierra Madre due to the massive wind storms, but were lucky enough to talk to them over the phone. We ended the night with the Christmas classic- Frosty! Sunday was our final full day together and we took it pretty easy. Maddie spent the morning finishing up some homework. Dave also spent the morning studying and I was able to get in a little job searching. After our productive morning we decided we would continue our educational pursuits by visiting the Deutsches Historisches Museum. The museum was huge and was spread across two large buildings. We spent about 3 hours soaking up some German history and learning a little more about what essentially is our family’s past. (Maddie’s and my family is about 75% German). Following our educational visit we made one final trip to a Christmas Market. We spent a little while walking around the different booths, taking in the sights and (delicious) smells before heading home. Upon our arrival home we found that Dave had cooked up a delicious homemade meal of lasagna, salad and wine. He’d also crafted something he titled “The Sister Quiz”, in which Maddie and I had to answer 20+ questions about each other’s favorite things. I won of course:) We had a fun last “family” night with more games, food and drink. The next day Maddie had to head back to Brussels (she flies back to the States in just 10 days!) I was really sad to see her go, considering I don’t know when the next time I’ll get to see her will be- but it’s been awesome to have been able to explore Prague, Brussels and then Berlin together. Hopefully she has an awesome last week abroad and will be back to visit soon! 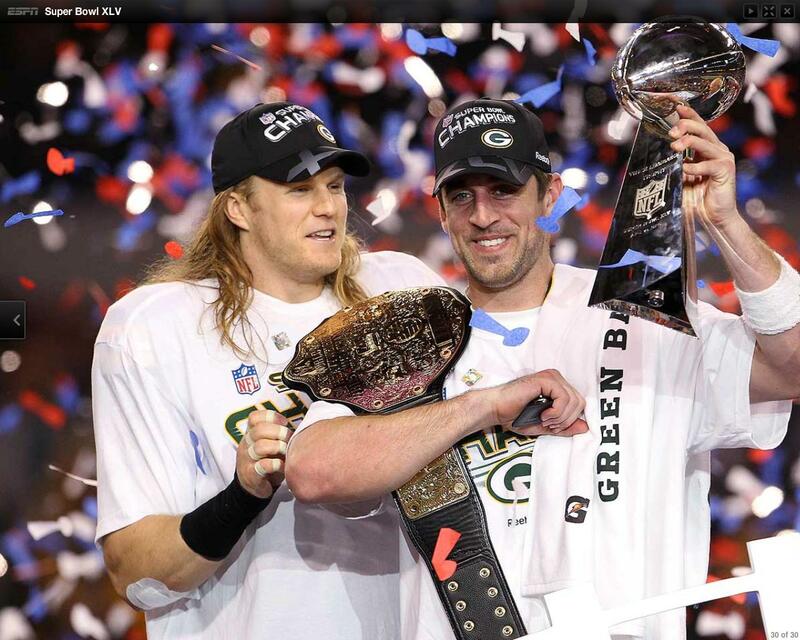 I’d like to take a minute to recognize the 2011 NFC North Champions- the Green Bay Packers! So excited for their 12-0 start!!! The only downside is that I can’t brag about it to anyone here in Europe…they all think football is something you actually play with your feet. Here’s to victory #13 and a strong playoff run….Go Pack Go!